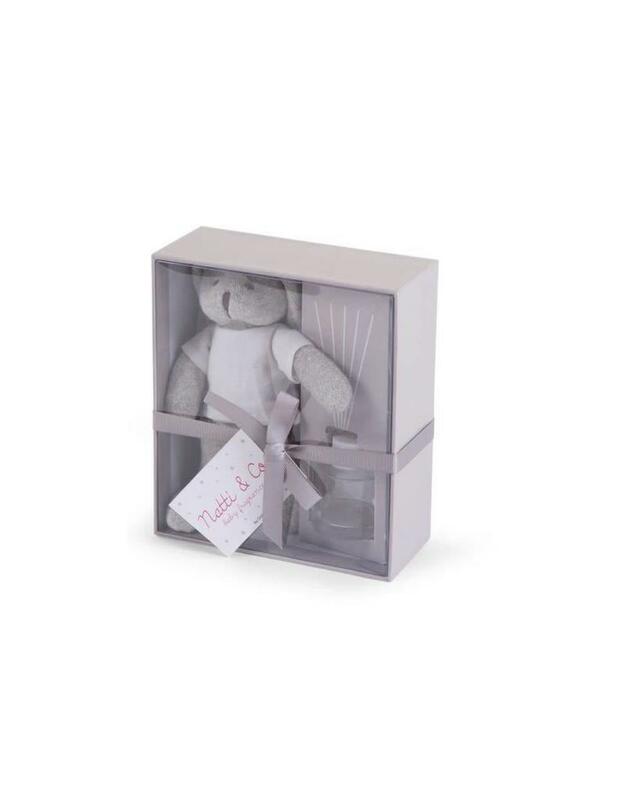 Are you looking for the perfect gift for a babyshower? Natti & Co Fragrances gives you the answer. In this original gift box you will find fragrance sticks that will spread a soothing scent. The soothing fragrance will bring serenity into your home. Next to that a soft teddy bear will be the baby's best friend. Place the rattan sticks in the bottle with the scented oil. The sticks will gradually imbibe the scented oil and spread the perfume. The 'Cotton' scented oil has a relaxing aroma for a pleasant scent in the nursery. ATTENTION: Keep the scented oil out of children's reach.